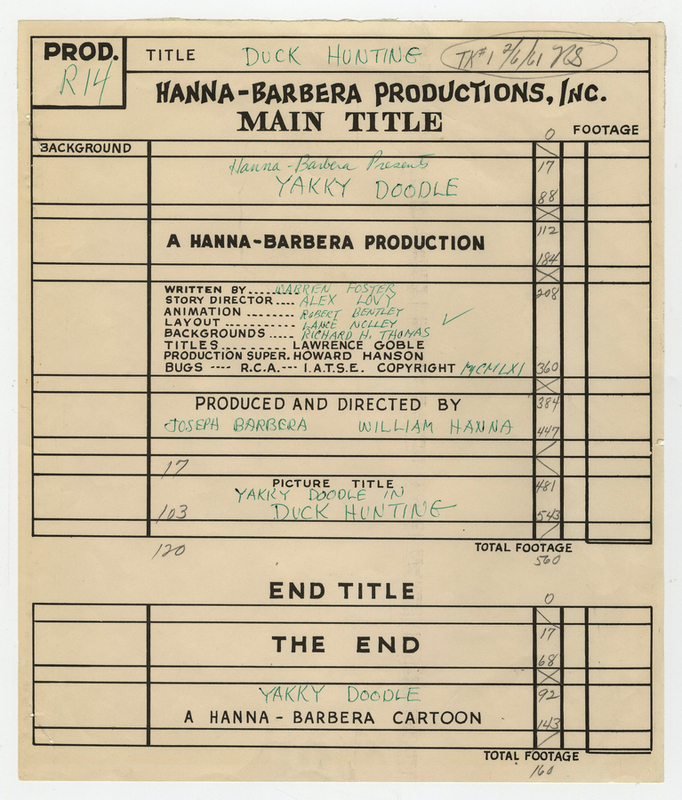 This is an original title card cel and background setup from the Hanna Barbera Studios production . 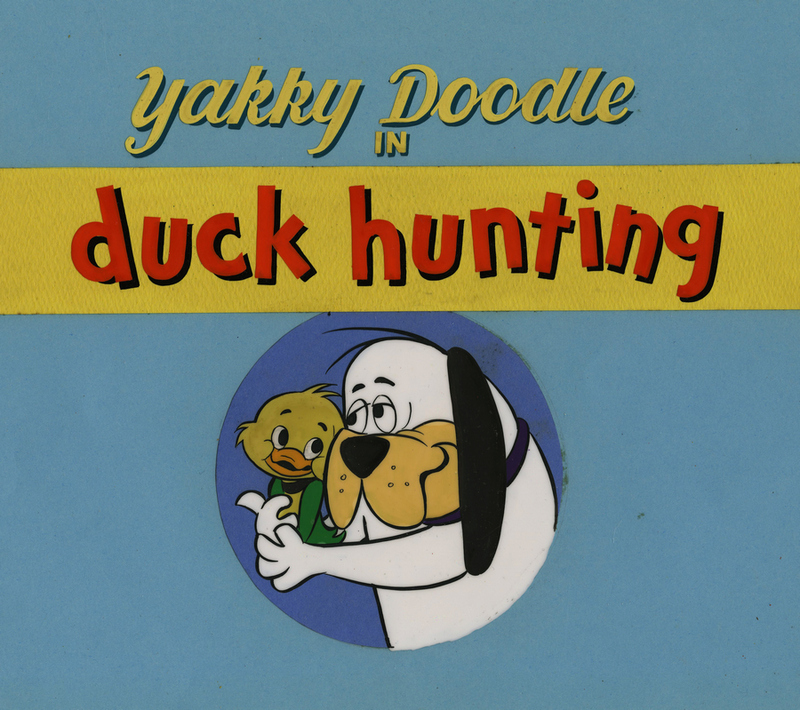 This title card features Yakky Doodle and Douglas with the title "Duck Hunting" from this particular short. 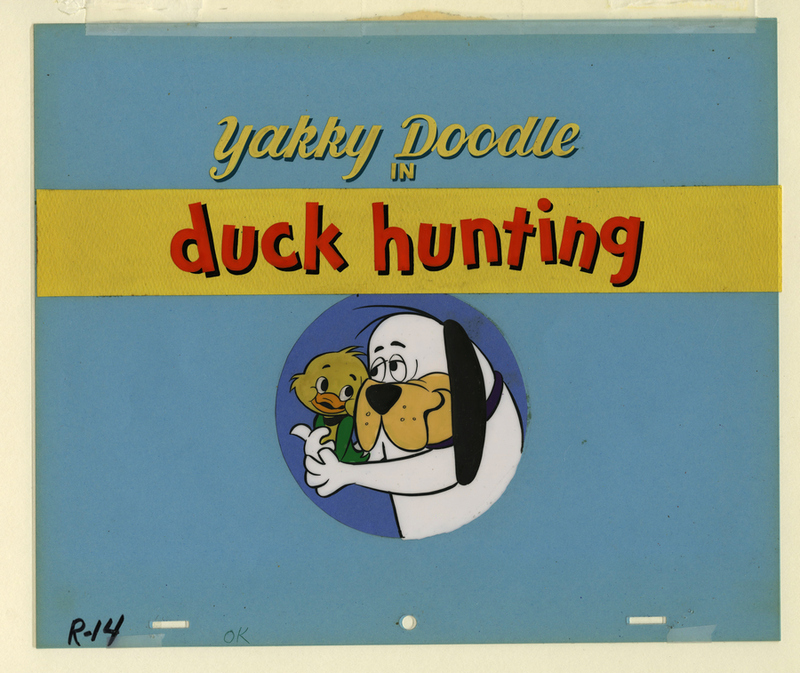 It was created at the studio and used during production, representing an actual frame of animation that was photographed and appears in the cartoon. The overall measurements of the piece are 10.5" x 12.5", the painted image area measures 7.5" x 8", and the character image area measures 4" x 4". The setup is in very good condition and the production notes sheet for the short's titles is also included with the title card.